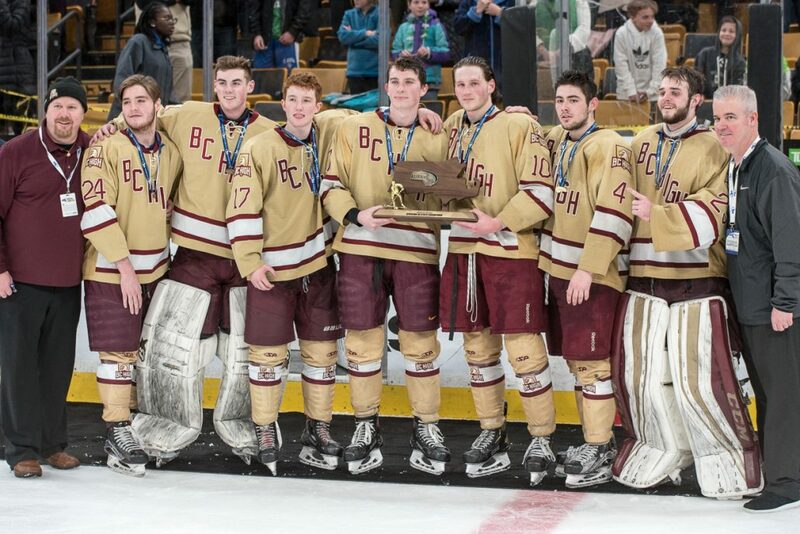 BC HIgh seniors with MIAA Division 1A championship trophy after epic 2-1 4OT win over Pope Francis. 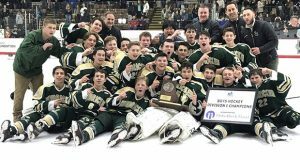 In game that will be remembered for years to come, top-seeded BC High held on to its state title, outlasting the Cardinals 2-1 in four overtimes, easily the longest game in MIAA state final history. 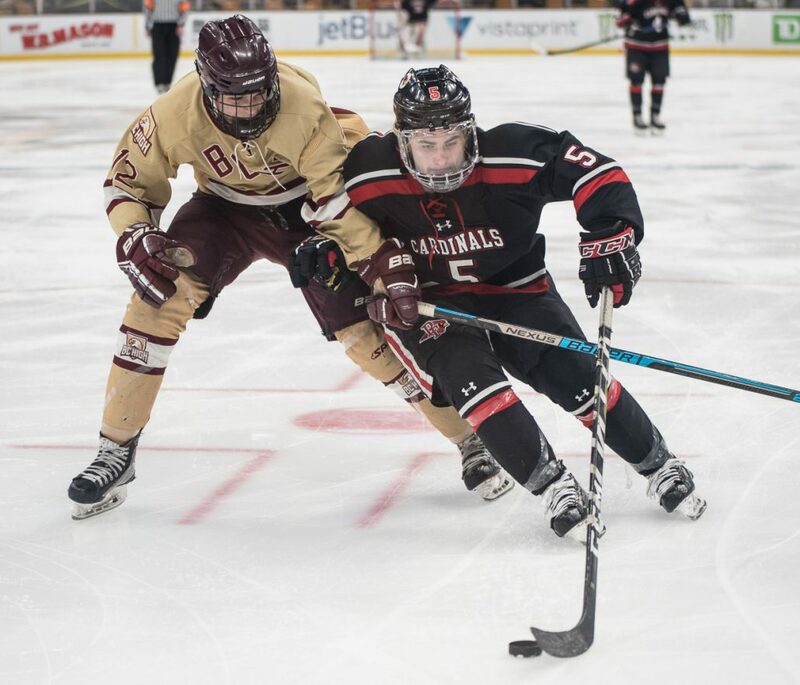 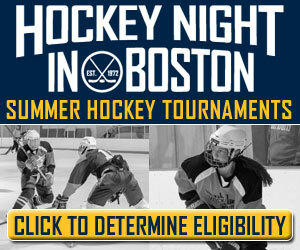 Pope Francis forward Jon Tavella drives past BC High’s Josh Milso during MIAA Super 8 final. 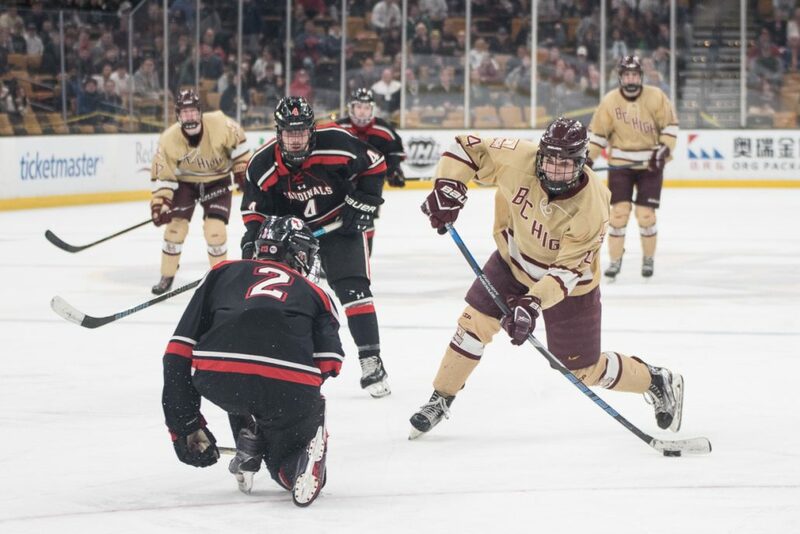 BC High’s Peter Kramer readies to fire shot on goal as Pope Francis’ Joey Salvon defends.